Our goal is to help everyday marketers improve results from their marketing efforts through the perfect implementation of data and technology. We enable our customers a deeper understanding of their customers to deliver relevant, targeted customer experiences. We've only just got started! BlueVenn marketing software solutions have led the way for over 25 years. Our team has a proven pedigree transforming existing systems into money-making data marketing platforms, and BlueVenn is one of a handful of marketing solution providers worldwide with the ability and knowledge to build large-scale Single Customer View marketing databases. Want to grow? Then let us know. BlueVenn is the secret marketing weapon that enables brands around the world to improve the success of all their marketing efforts across acquisition, cross-sell, up-sell and retentions. From the biggest brands to up-and-coming enteprises we've helped thousands of marketers mature beyond traditional marketing methods. We like to play nice with everyone. When you have a modern technology stack from many different providers, you want a marketing platform that plays nice with others. That's why we'll connect with everything and anyone, including ESPs, BI tools, 3rd party data, CMS and eCommerce platforms to become the hub from which you can deploy all your marketing efforts. "Throughout the lifetime of this business I've seen an extraordinary growth in volumes and complexity of data, but the challenges and problems have remained the same - and our core values at BlueVenn haven't changed either. Perfectly targeted marketing doesn't need to be a myth! Don't get me wrong it's difficult but the great people at BlueVenn make it a reality for our clients." You can get in touch with us via the Contact Page on the website. 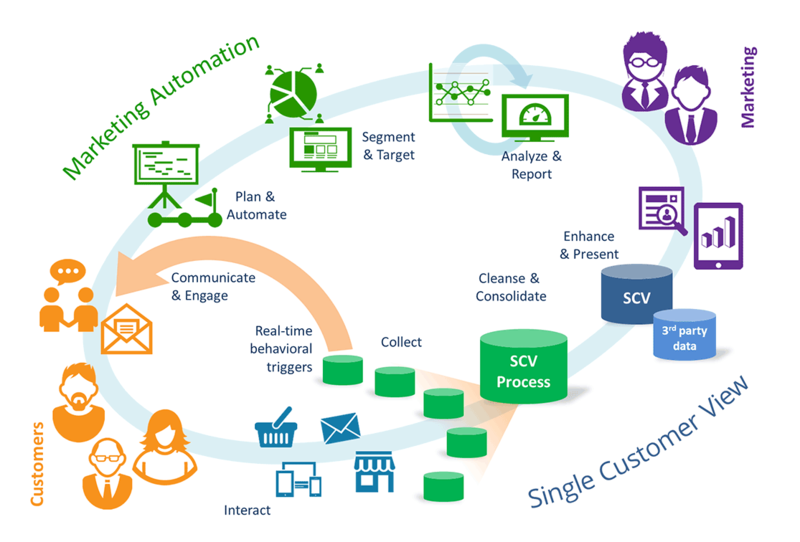 Through our 'Closed Loop Marketing Methodology' we blend all your data about customers, products, behaviors and campaigns together into a Single Customer View to provide a trustworthy, clean, de-duplicated and holistic database. This enables accurate customer insight and the best platform for analytics. We then provide marketing with powerful, easy-to-use marketing automation tools to ask limitless questions of the data and execute customer journeys with the right message, to the right person, at the right time – and on the right device! We make segmentation easy, driving real-time personalization, cart abandonment and connectors to the leading platforms to optimize customer experiences. Responses and customer interactions, from all your channels, flow back into the Single Customer View for a continuous closed loop of marketing intelligence.